Nations are not trapped by their pasts, but events that happened hundreds or even thousands of years ago continue to exert huge influence on present-day politics. If we are to understand the politics that we now take for granted, we need to understand its origins. Francis Fukuyama examines the paths that different societies have taken to reach their current forms of political order. This book starts with the very beginning of mankind and comes right up to the eve of the French and American revolutions, spanning such diverse disciplines as economics, anthropology and geography. 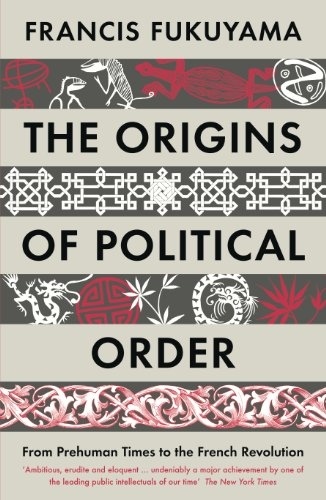 The Origins of Political Order is a magisterial study on the emergence of mankind as a political animal, by one of the most eminent political thinkers writing today.